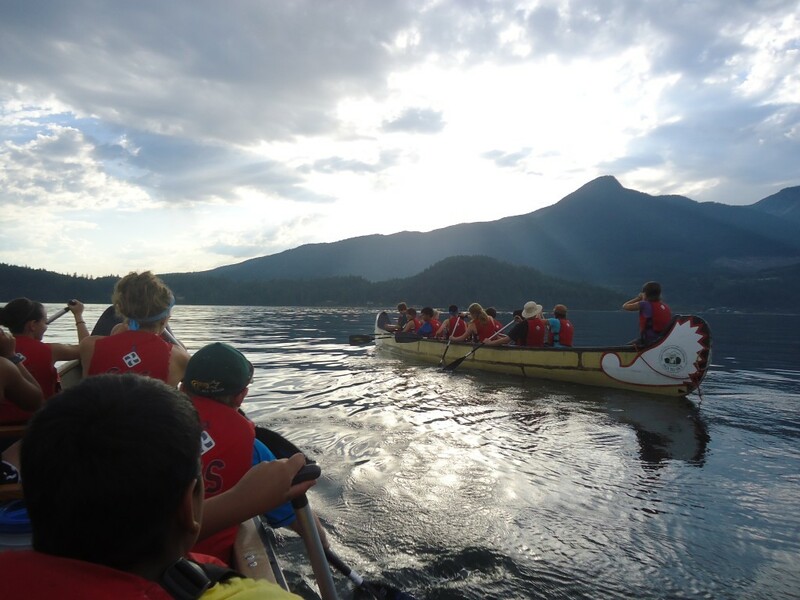 A quick post this Monday morning to offer thanks and a massive shout-out to our TALONS friends at Sea to Sky Outdoor School, in Gibsons, British Columbia. We’re just back from our third annual fall retreat with Wings, Owl, Moondust, River, Chinook and Goose, an invigorating experiential study in leadership, environmental education and activism, collaborative outdoor exploration and team-building which, even for the teachers, was the life-affirming September weekend we’ve come to expect from this band of merry educational pranksters working on the shores and waters of Howe Sound. Ever a work-in-progress, Sea to Sky’s Greenstar curriculum served as a vital extension of many of the TALONS program aims to cultivate knowledgable and empathetic residents of Earth Island, with their program coordinators and facilitators serving as living examples of a passion for the wonder of the outdoors tempered with a responsibility to defend the planet from its many literal and figurative pathogens and threats. Even though we all come from different schools and different backgrounds, I just wanted to show that there is one thing we all had in common – we are part of the talons family. Because it is about family. It is about community, and learning and living together, something TALONS learners (teachers and students alike) feel passionate about, and which we are rejuvenated to find affirmed by our colleagues at Sea to Sky. A most hearty Hoitchka to them, and to the TALONS 9s and 10s who were willing to walk outside the comfort zone this weekend, and set the stage for what promises to be a marvelous year.